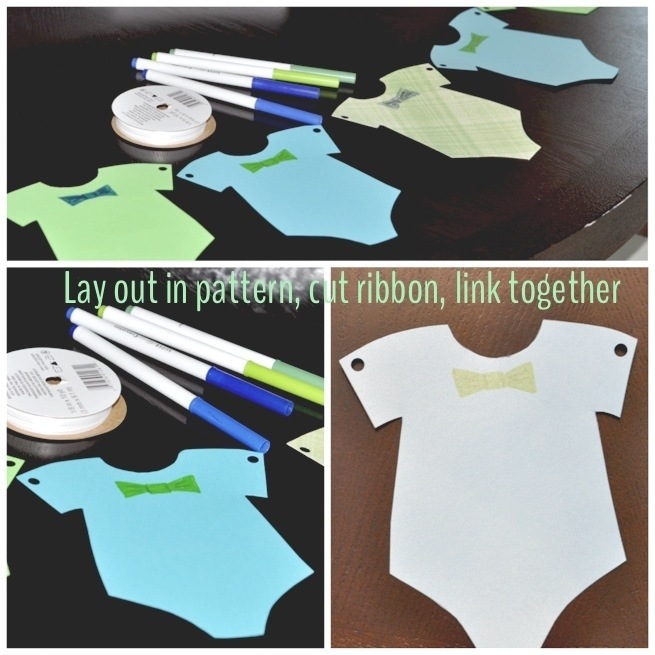 Cut out the onesie gift tag patterns. 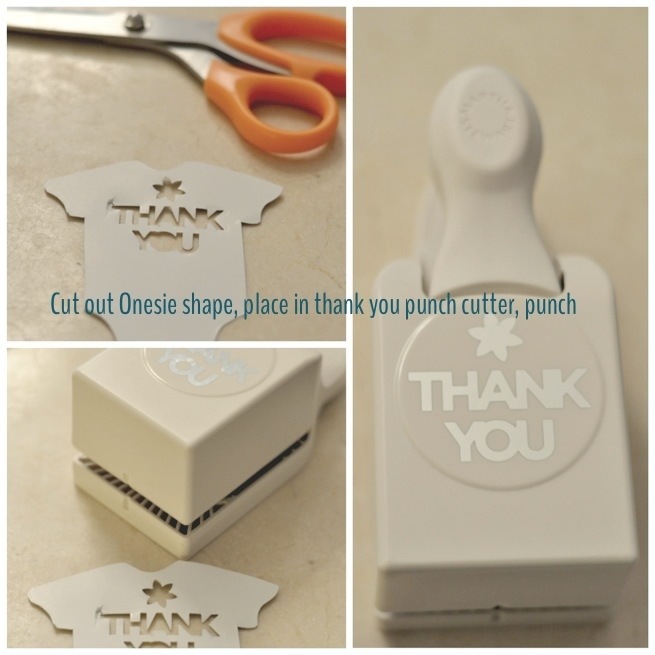 Place the neck of the onesie in the Thank you punch and firmly punch. 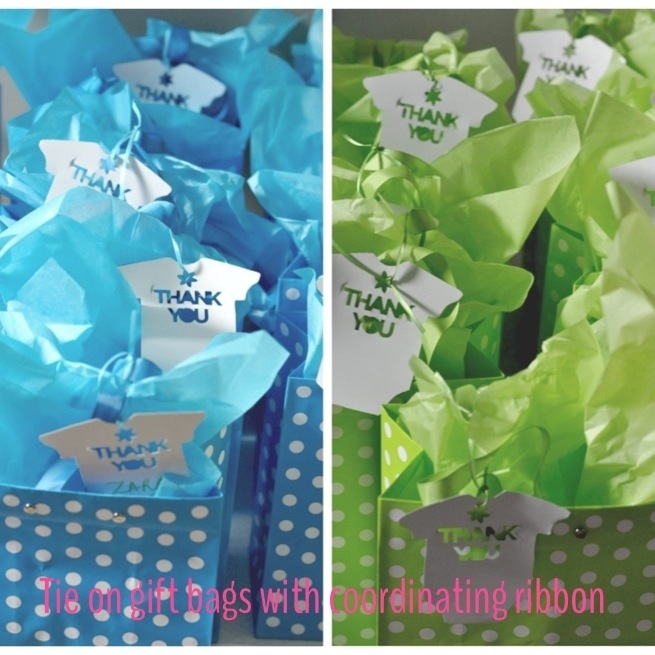 Tie on the thank you cards with coordinating ribbon. Print the guests names if you like. 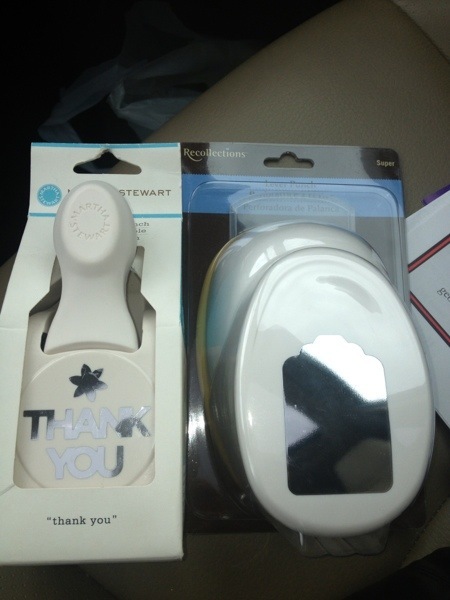 I only added names on a couple of tags for the children who were attending the shower. I found a free template online for the onesie shape I preferred. 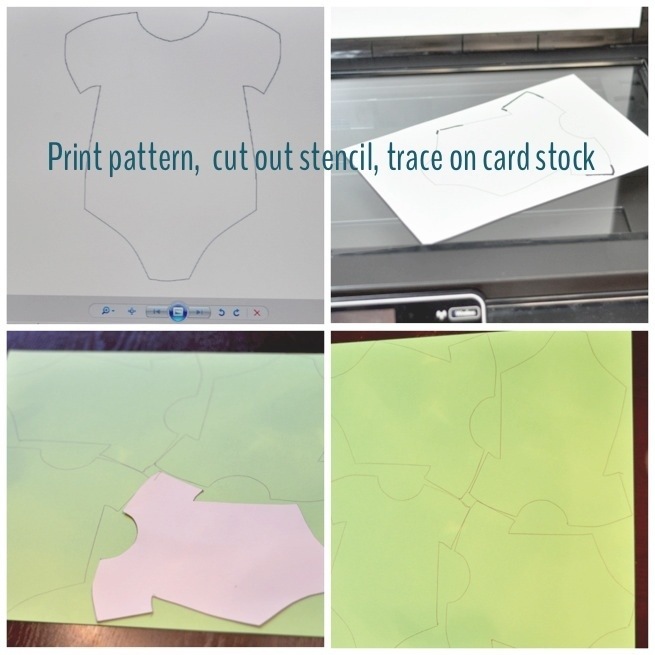 Print out the pattern onto plain paper, (I enlarged mine approximately 125% on my HP printer as I wanted to get four onesies to a sheet of scrapbook cardstock) Copy onto to cardstock, cut out onesie pattern seen above in white. 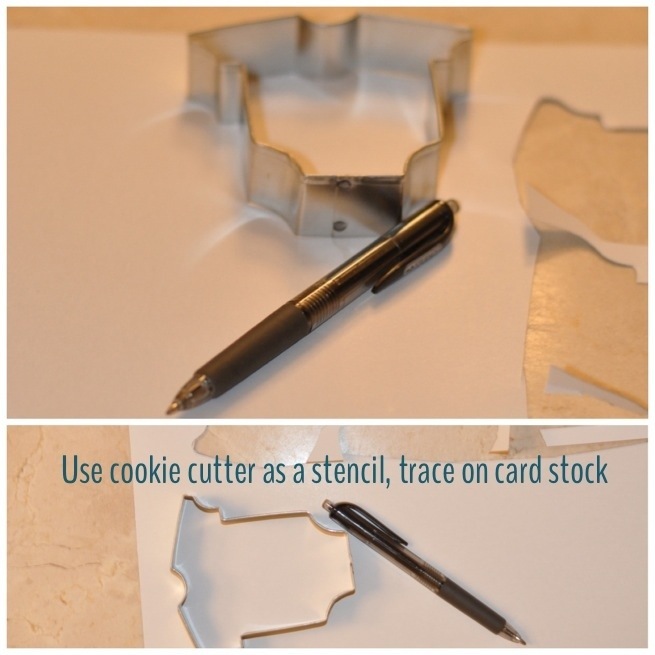 Trace onto cardstock in coordinating colors. Stack in piles and then lay out in a pattern. 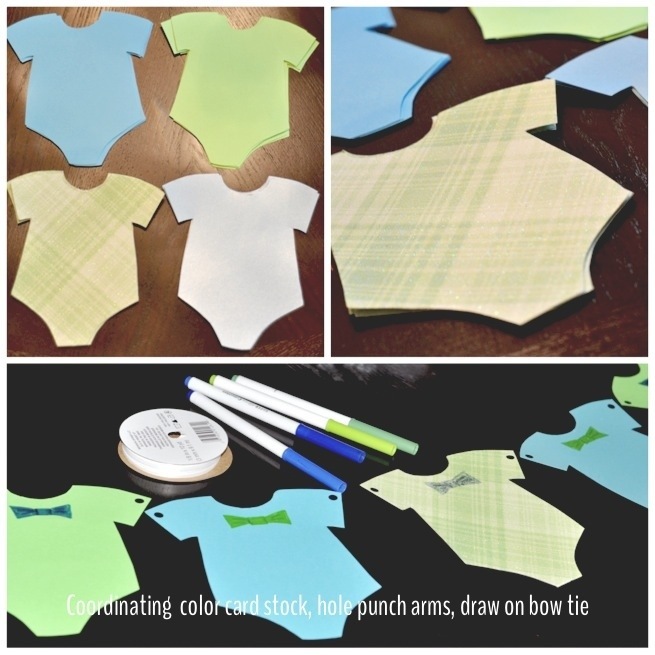 I chose to draw on bow ties but you could certainly stamp on if you had a bow tie stamp, or cut out mini bow ties and attach with glue. 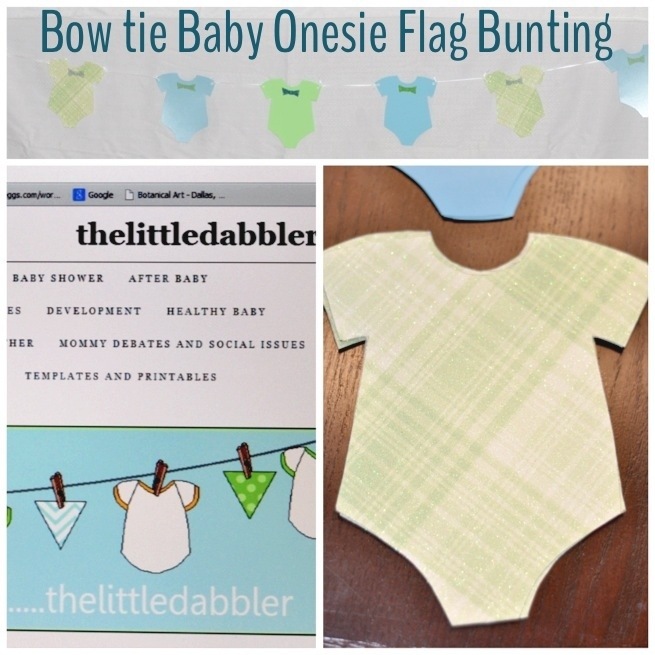 I used a hole punch to make the hole for the ribbon to tie each onesie together. I used plain white ribbon cut in 12 inch lengths and tie a double knot on each end. I made three of these, one for the refreshment table, one for the door of the hostess’s home, and one for the guest book sign in table. This table also included a thank you card envelope for each guest to write their address on to save the Mommy-to-be sometime on writing her Thank you cards. Another great Idea from our lovely hostess.